VENUE By Sebastian serves contemporary European cuisine with selective Asian influences. If you are unable to find a table for your desired date/time, or if you wish to book a table for a group comprised of 7 or more people, please call or email the restaurant directly to enquire for availability. Please note that we do not accept reservation for early lunch promotion at 11.15 am. I went with three old friends including two avid and experienced cooks, and all of us loved it! Every dish was exquisite. The food was fantastic, and service staff was lovely and attentive even on a busy Friday night. The portions are really small e.g. pasta are more like starters portions priced like a main. The octopus is a main but portion is that of a starter too! Food is very flavourful but on the saltier side. I like the open kitchen and modern semi-casual atmosphere but seatings are a little to near to one another. Overall, I will recommend friends to VENUE. excellent food and service. would definitely return again. Food is good, really friendly staff and awesome chef! The amazing food came fast and it’s definitely freshly prepared. The service was prompt and never a moment of ‘empty-cups’. My wife and I was very happy with the overall service and food quality. Just a tad upset over the reservation seats, as we got the center of the restaurant. I was expecting a corner seat for our 10th year anniversary. Great food and COLIN was Super on that evening! A truly enjoyable evening at Venue! Food was exceptional and service very attentive. We especially enjoyed the pasta dishes as the flavours came through brilliantly! Job well done Venue team! I will definitely be back! I went during the crazy lunchtime hour. Despite that, the service was very good and the food came quickly. Good and fast service. Food, service and ambience were all first class. The VENUE is a gem. Food was serve promptly, attentive service staff who initiated to share more information on their menu after serving me to my table. Excellent food. The lobster is really good. Every dish is delicious and I will highly recommend my friends to try! 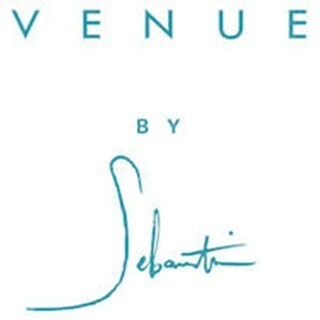 Been to Venue By Sebastian before and my family and I love the food. We weren't disappointed this time around. Food is great and very fresh. We will definitely be back again! The complimentary parking at downtown gallery made it all the more sweeter and convenient. Would be especially great if dishes could come in slightly larger portions, otherwise, it's a good place for a friends/family gathering. I enjoyed your service , ambience and of course the food. The tofu was a surprised to me! The wines were not as great nor pairing with the food . Enjoyed every single moment of this lovely dinner!